The Sock Hop is a '50s style dinner and dance that is enjoyed by the entire family. 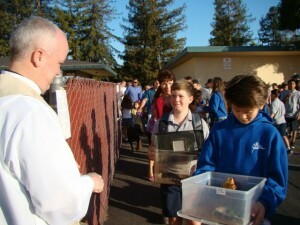 Every October, we honor St. Francis of Assisi with the Blessing of the Animals. All of God's creatures are welcome! 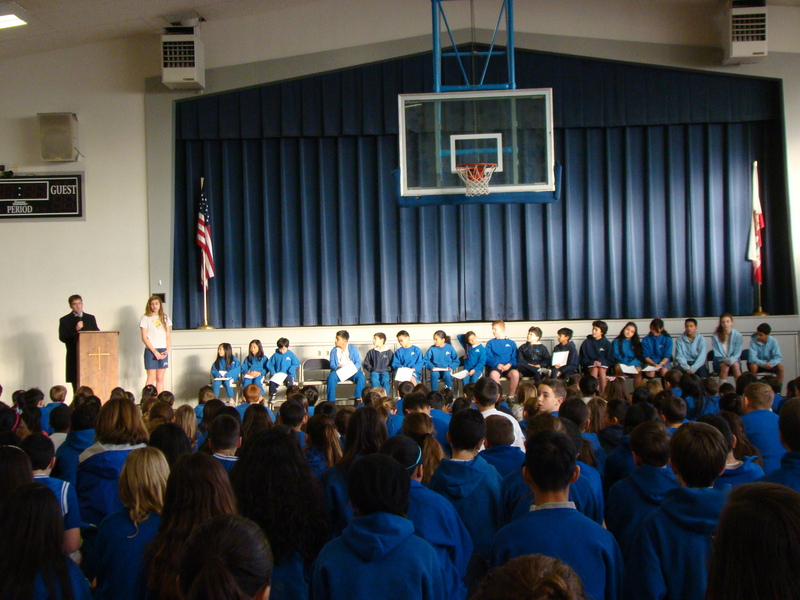 The Bible Ceremony is a sacred tradition for our fifth graders. 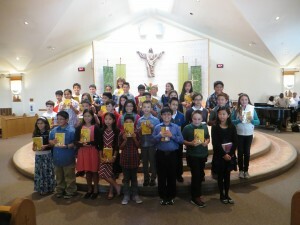 They receive their very own Bible to be cherished for years to come. 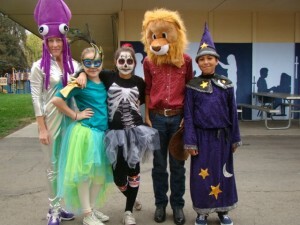 Every Halloween, the 8th graders host a carnival to raise money and collect canned goods for Community Ministry. 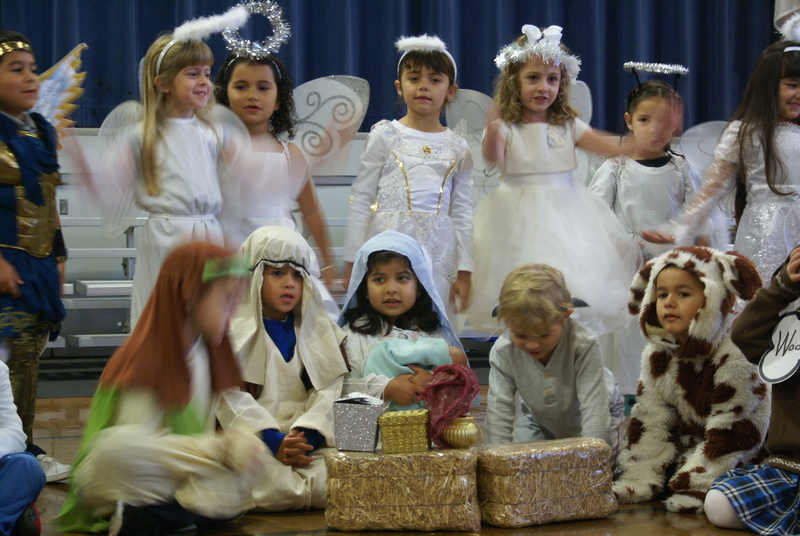 Our Advent Novena concludes every year with our kindergarteners reenacting the Nativity Story. It's always a much-anticipated event! It's standing room only during our Christmas program. 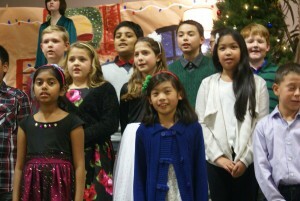 Each class sings a variety of holiday songs while our 8th graders perform a play about the Nativity. 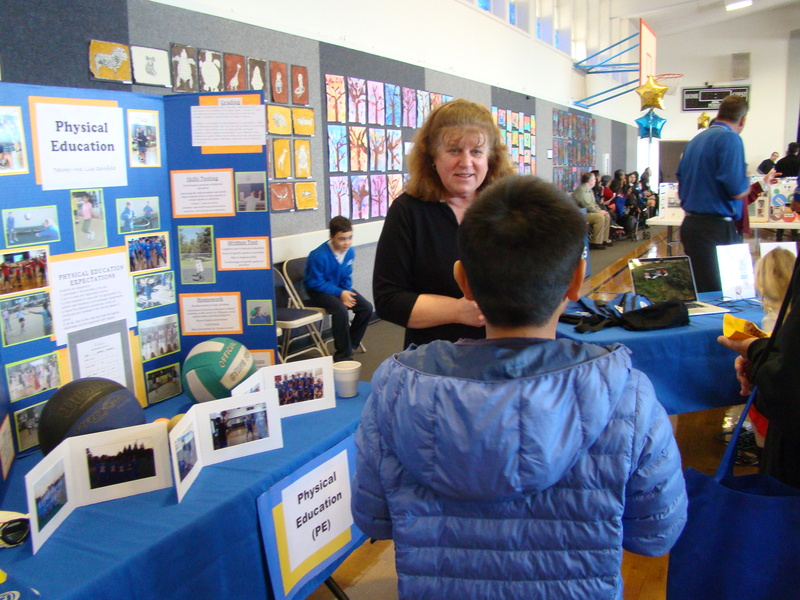 During Catholic Schools Week, we host an Open House as well as a Book Fair. 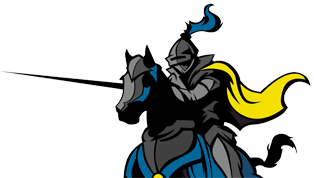 We also honor those people that make St. Justin such a special place -- this includes parents, students, and teachers alike! Grandparent's Day is always a memorable event here at St. Justin. 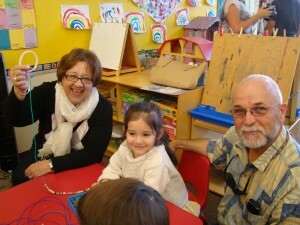 Our special guests are treated to our "Spring Sing" concert followed by visits to the classrooms. 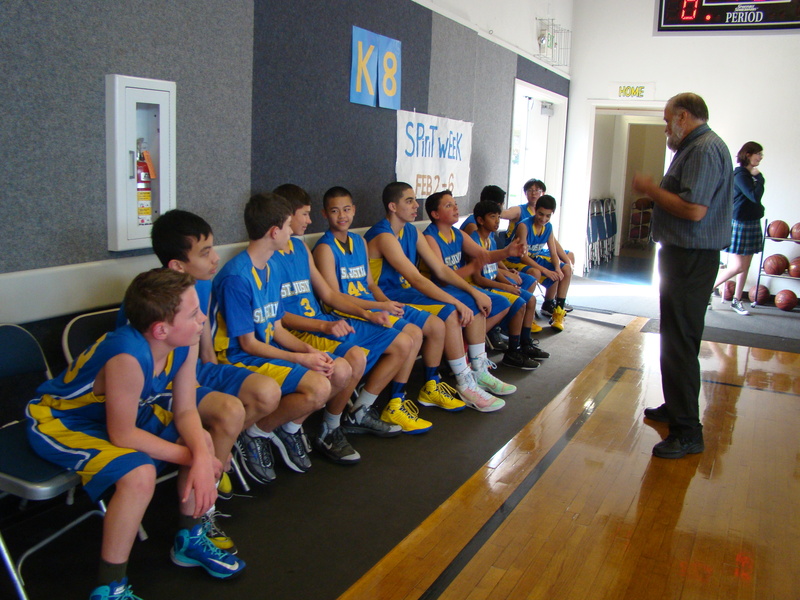 St. Justin has been hosting an 8th grade boys basketball tournament for 40 years! Schools from all over the Bay Area participate. 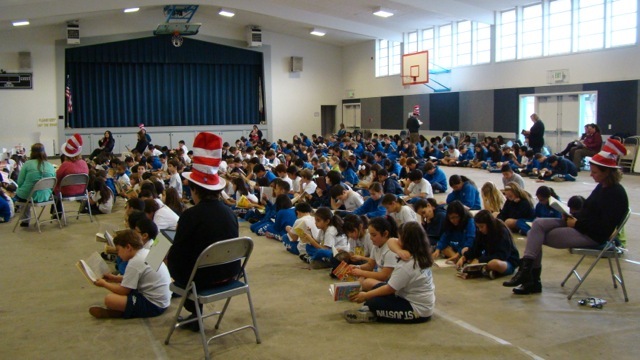 St. Justin School is proud to participate in Read Across America, a nationwide reading celebration that takes place annually on March 2 -- Dr. Suess' birthday! 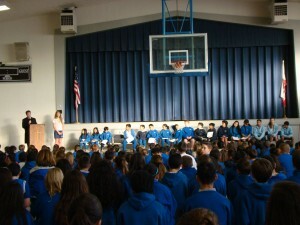 The Geography Bee and Spelling Bee are always exciting to watch. 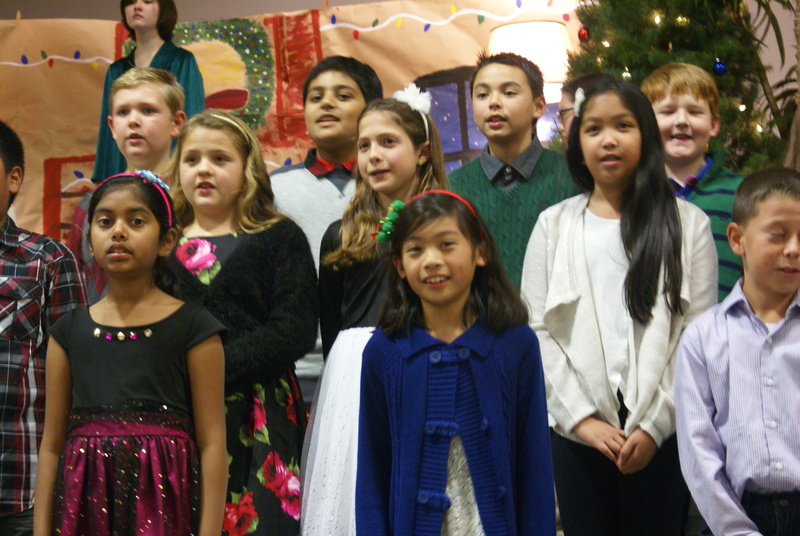 Three representatives from each grade (3rd-8th) participate, and the winner advances to the regional level. During Holy Week, all of the students gather together in the gymnasium to participate in the Seder. 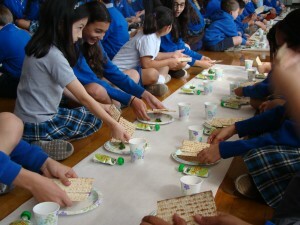 We listen to the story of the Israelites and partake in a very simple meal. 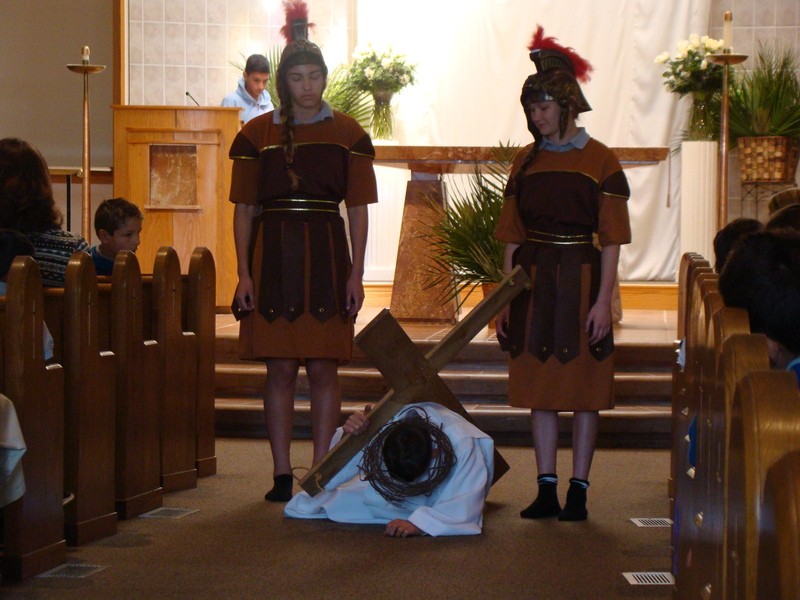 The Living Stations of the Cross is an eighth grade tradition. During Holy Week, they reenact the Passion of Jesus as the entire school reflects in prayer. The Dance Demo is a must-see event! 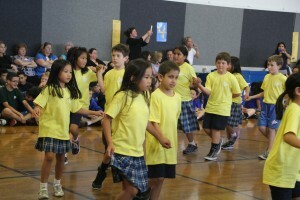 The students perform various dances learned in P.E. 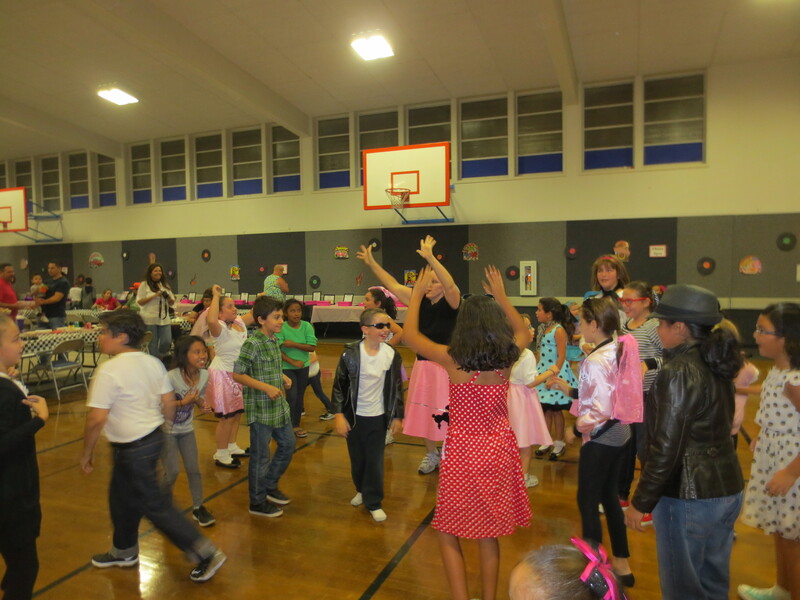 including line dances, square dances, and even ballroom dances. 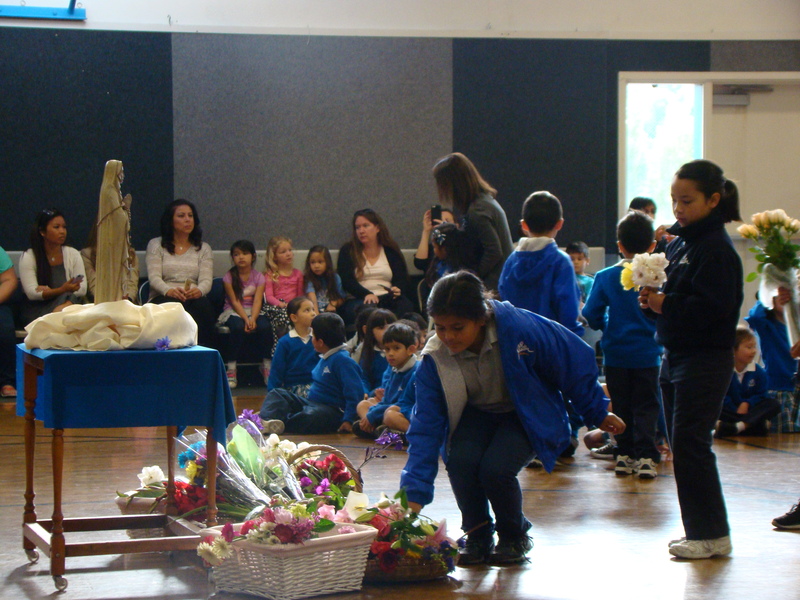 We honor the Blessed Virgin Mary every year at the May Crowning. Every student brings a flower to present to Mary, and then the first graders lead the entire school in prayer. 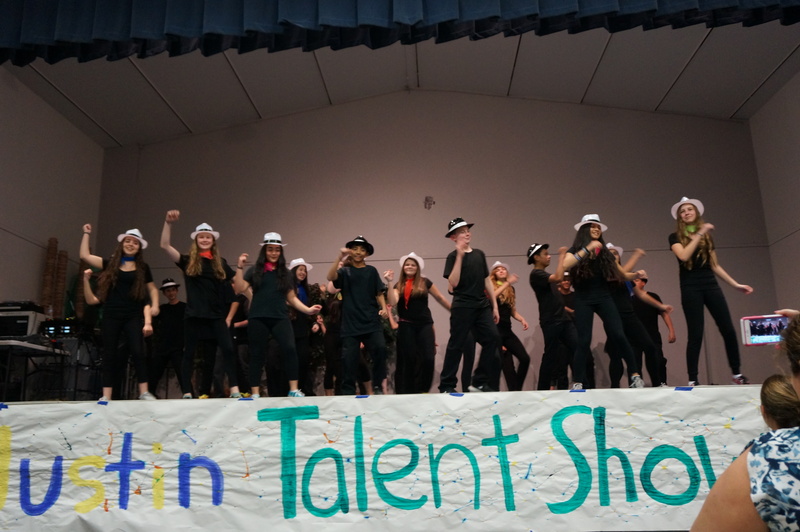 The school year culminates with the ever-popular Talent Show. 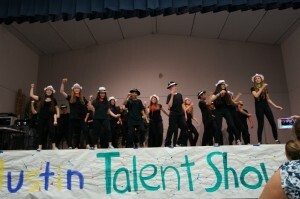 It is a very entertaining program full of singers, dancers, musicians, comedy acts, and other talented individuals.